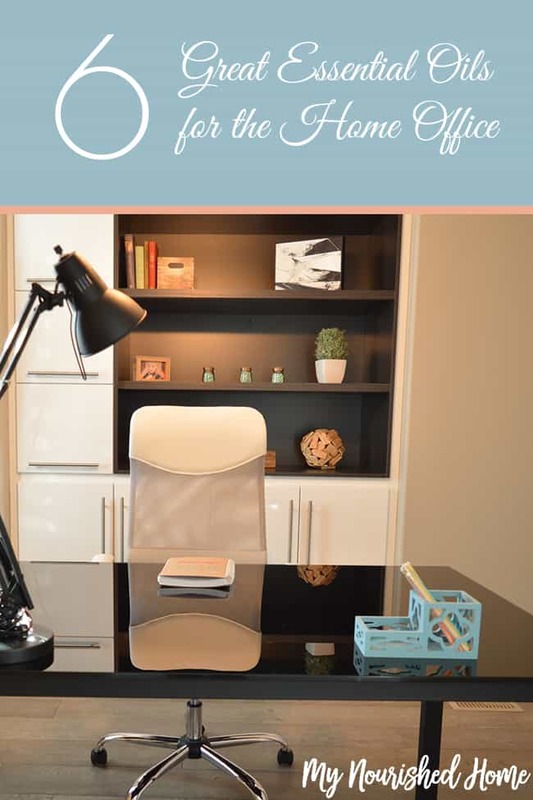 If you’ve never thought about using essential oils for the home office, you might be missing out on a great opportunity to improve your focus and your mood while you are working! If you’re familiar with essential oils, then you already just how much oils can help you around the house and with your family. My decision to move an essential oil diffuser into my office was completely by accident. We learned early on that diffusing oils was a great way to help our little kids sleep, and our teenage daughter started using them when she was struggling with allergies but has fallen in love with oils and use them daily as well. There was a day that the diffuser in my teenager’s room was left on after she left for school and the lavender and peppermint combination she was using drifted into my office. I was in the middle of such a frustrating time with my work and found the new environment these oils created for my office that day eased my mood – and when my mood eased, my workday got so much more productive. I have been stealing my teenage daughter’s essential oil diffuser for my home office every day since. She now knows to grab it from my office before she goes to bed. She never complains but one day I should probably just get one for my office! When you’re working in the home office, you want to be able to focus and apply your brain power to the tasks at hand. There are certain essential oils that can actually help with concentration and focus, making this easier. There are also essential oils that can help improve your mood. These can be very helpful in the office whether you work full-time hours or just part time in between other household duties. Jasmine – This is perfect for calming the nerves. Jasmine in relaxing and soothing. Because it helps you feel uplifted, it’s also been used as an anti-depressant. It can make you feel more confident and it can give you the confidence to work successfully. Lemon – Lemon is great for improving concentration so it can help you focus in the office, whatever your tasks are. Lemon is also good for helping to lift the mood if you feel angry or anxious. It can perk you up when you’re run down. Lavender – Lavender is similar to Jasmine in that it can uplift your spirit. It helps reduce emotional stress and it also improves the mood. It’s also known to help with headaches and migraines. Rosemary – This is good for relaxing the muscles and helping with aches and pains. It can also help with mental fatigue and headaches. It’s even helpful for physical exhaustion and is a great pick me up to get you started in the mornings. Peppermint – This is great for brainstorming. Peppermint is a wonderful way to wake the brain up. It will perk you up. It will invigorate you. Sometimes that’s just what you need in the office. Cinnamon – Speaking of pick me ups, here is a good one to get you up and going. Cinnamon will help wake you up. It will also help improve concentration and focus. 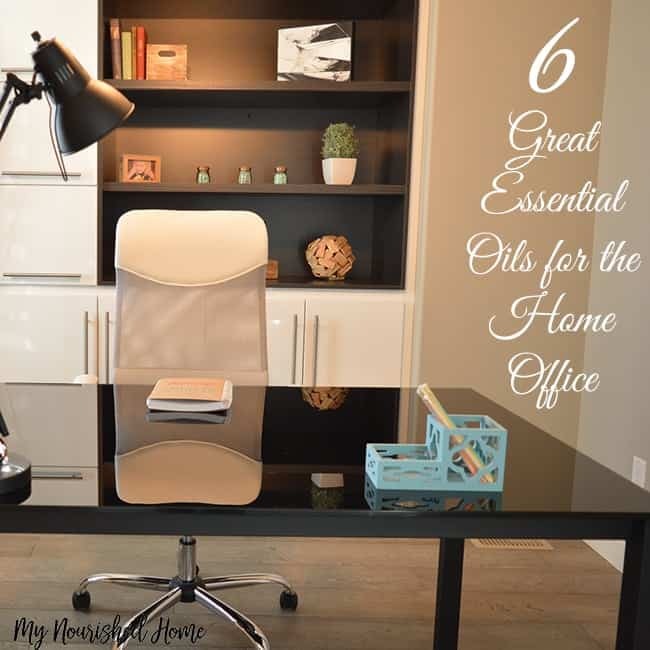 These are just a few suggestions of essential oils for the home office. The more you learn about essential oils and how they can be used, the more likely you are to find more that work for you and your needs. So go ahead and experiment!